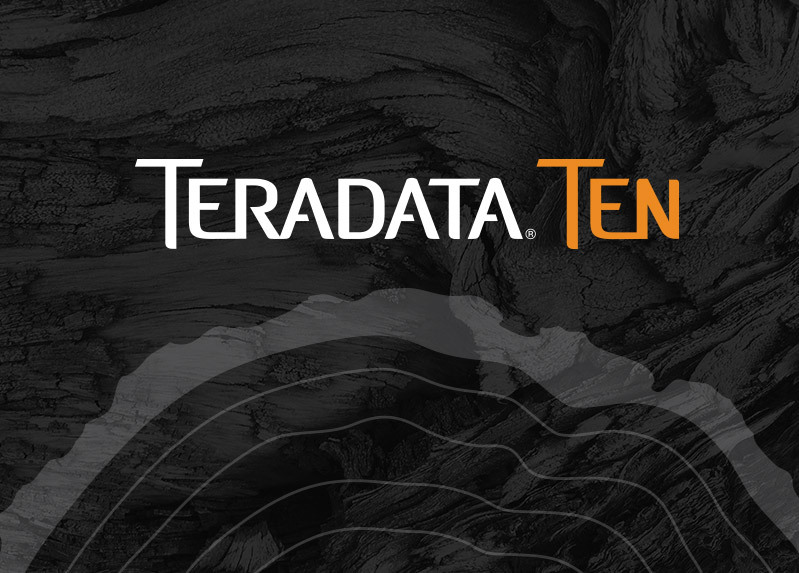 In 2007, global software giant Teradata became an independent company for the first time since its founding in 1979. 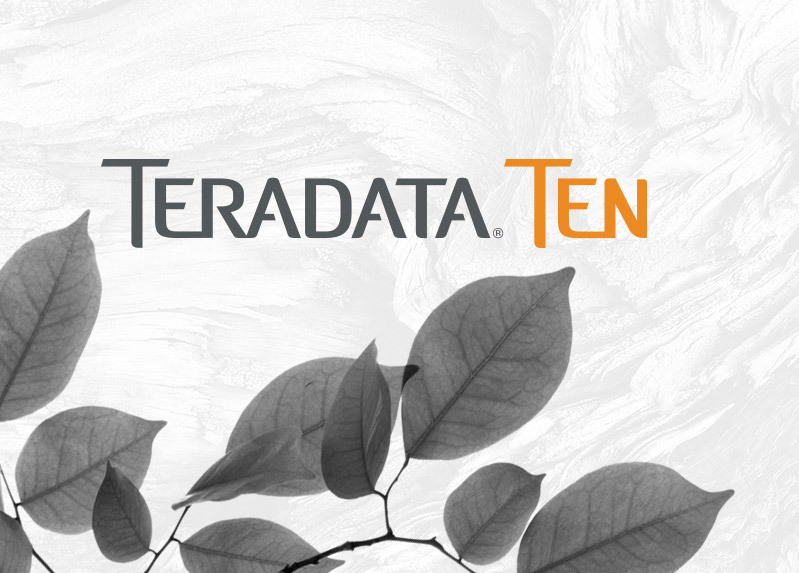 Teradata wanted to celebrate this historic occasion with the people who have engendered its success for the last decade. Celebrating people, their people, was far more important to them than celebrating accomplishments. 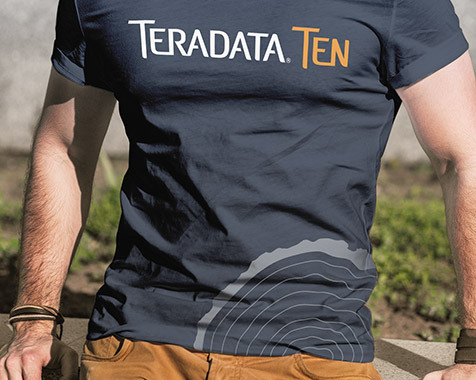 They wanted to make it clear that it was the people who made Teradata possible and generate excitement, engagement, and pride in being part of team Teradata. But how could they successfully bring together over 11,000 employees and contractors around in the world? 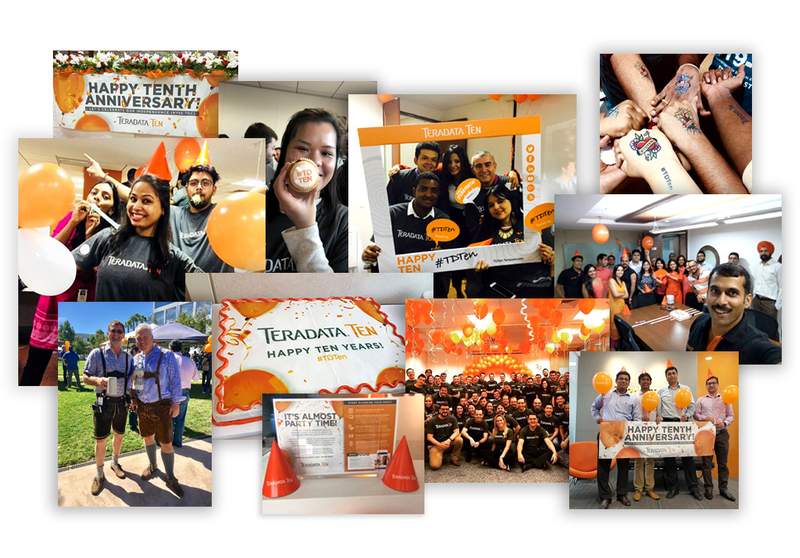 We worked with Teradata on a complex multi-channel campaign with worldwide reach that rolled out over the course of three months, leading up to a global celebration at each office on October 2, 2017. 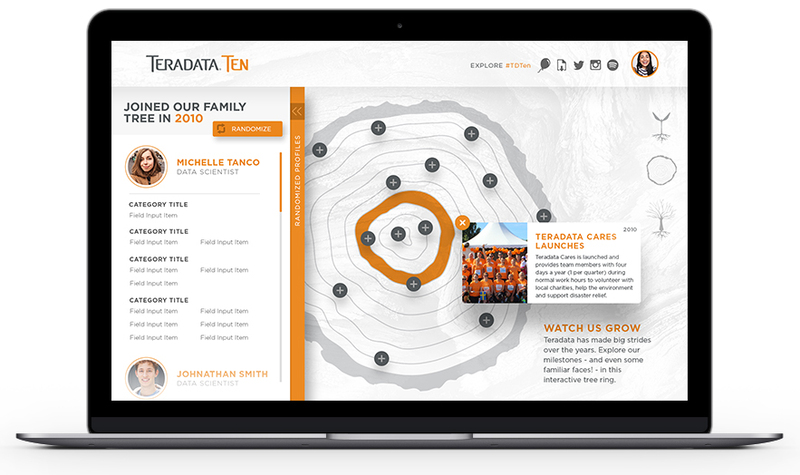 The campaign, titled “Teradata Ten,” was multifaceted; a mix of digital, direct mail, posters, internal emails, event planning, and traditional mailings. 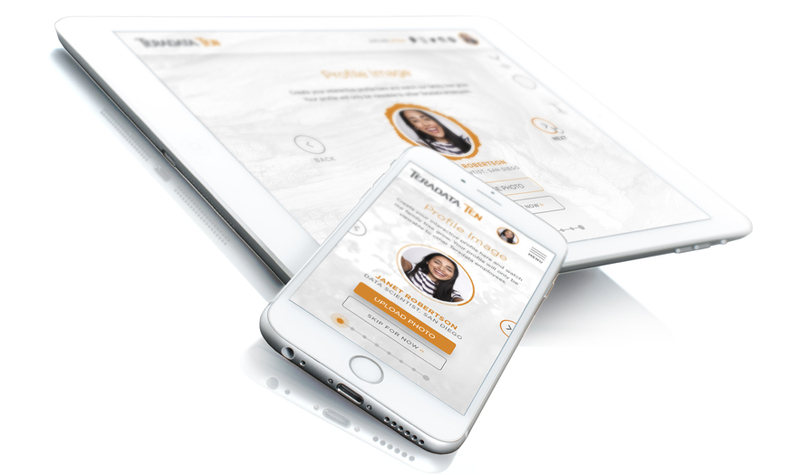 We created an interactive website that teams across the globe were able to access using their employe IDs. 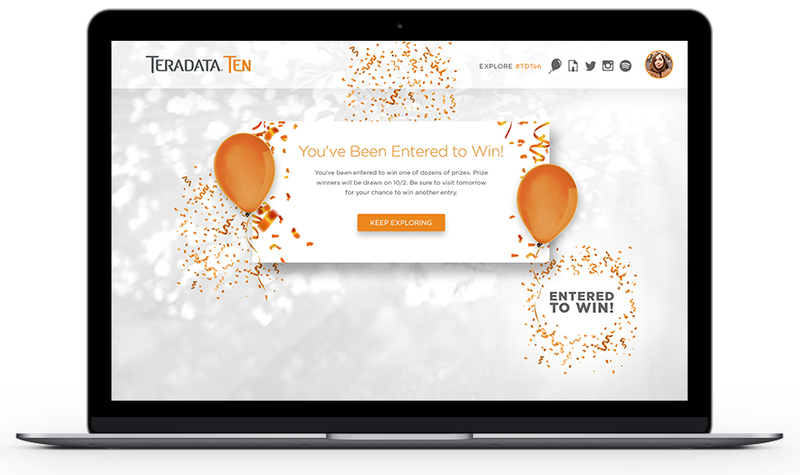 This internal social network invited teams to create profiles, share fun favorites, and even engage in a daily digital contest, “Score with #TDTen Sweepstakes” for their chance to win entries for cool prizes. We designed, sourced and shipped hundreds of T-shirts branded with the event design for employees to wear during the celebration. 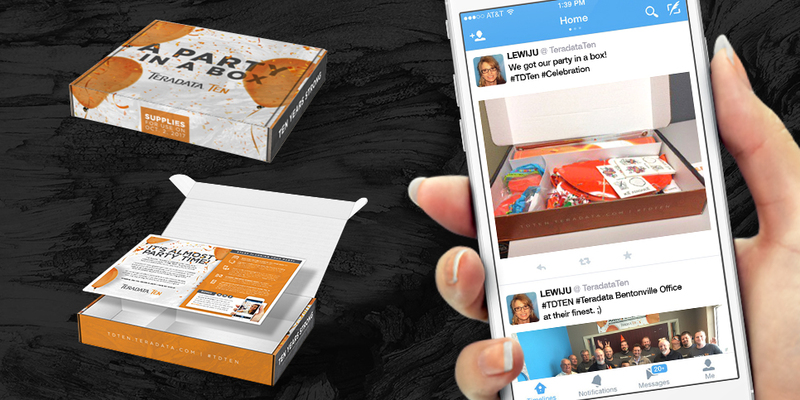 Eighty-eight offices around the world also received branded “party in a box” mailers that contained all of the goodies they needed to throw their own onsite party. 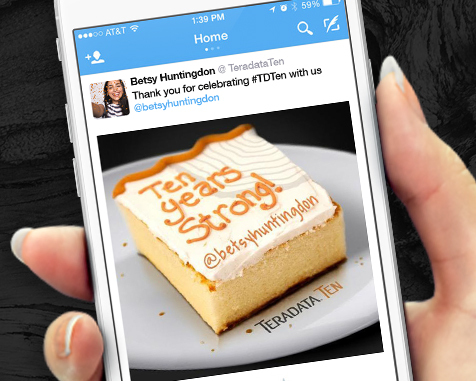 Teams could also engage digitally using #TDTen and even request a custom slice of digital cake via Twitter by using the #TDCake hashtag. Our team created a Snapchat filter geo-targeted to office locations that Snapchat users could share throughout the party week. Our team also sourced and shipped mailers made from seed paper, which were then distributed at many locations. 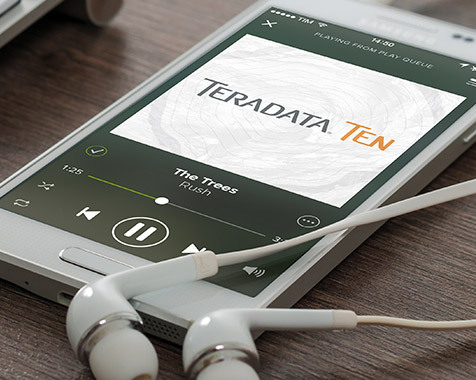 We even created a playlist on Spotify where employees could add and share their own party tunes! 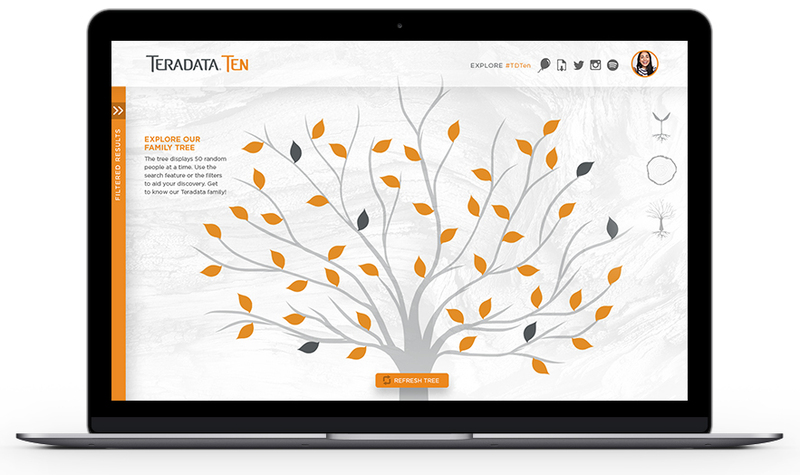 The Teradata Ten website launched in three phases, becoming more robust and interactive with each phase. It even pulled in all photos and posts tagged #TDTen from Facebook, Instagram, and Twitter, giving employees around the globe one central location to view photos and messages from their colleagues. 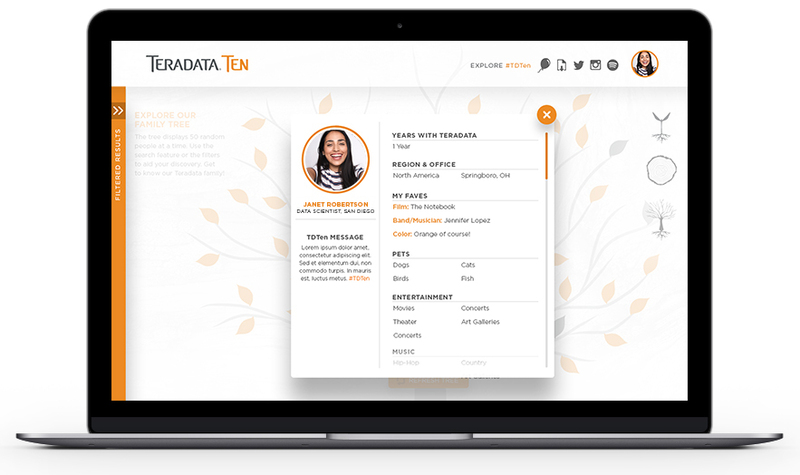 Data shared on the site was used in email communications, and also formed the emotional core of an inspiring video we created at the end of the campaign that contained messages, fun facts, and smiling faces of Teradata employees around the world as they celebrated their decade of independence. Collaborative Corporate Party Playlist on Spotify. TDTen themed corporate timeline video. Global party shared on social media. 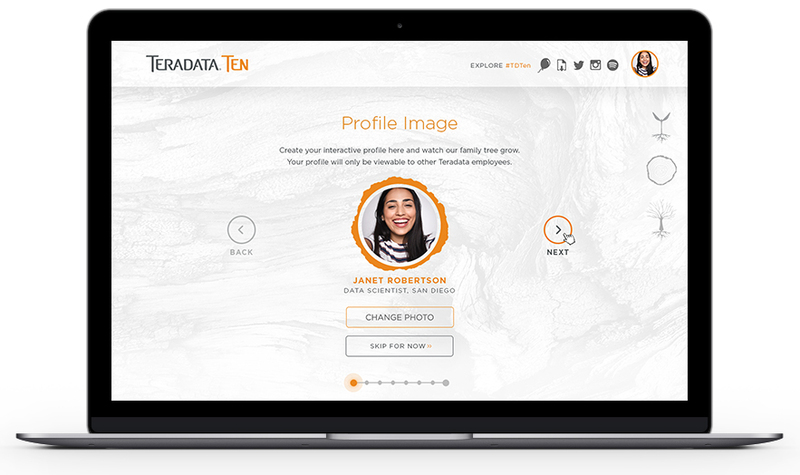 The TDTen site allowed employees to create and then filter profiles based on interests. 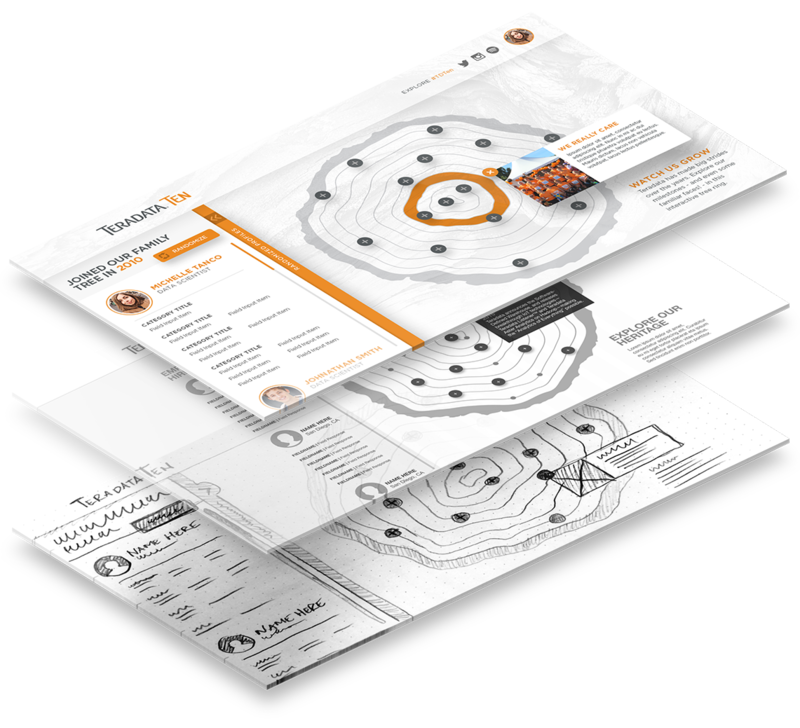 This site was themed like a family tree designed to unite teams around the world. The experience was available from any device and fully responsive. When setting up a profile, users could input terms in certain categories and select options in other categories. All of these fields could be searched and filtered. Profile confirmation showed all input details and allowed users to go back and edit at anytime. The second phase of the site during the campaign was a tree ring timeline. 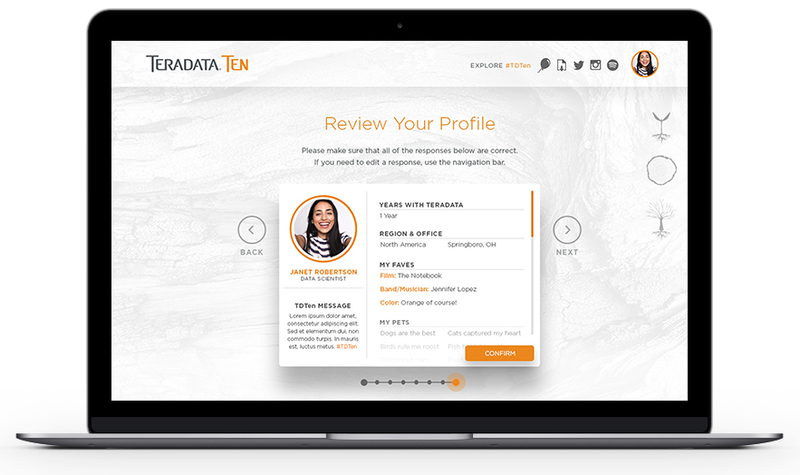 This was a place where users could see company milestones and even submit their own, which was reviewed and approved by the client. When a ring was selected, the page would randomly display profiles of hires from that year. The third phase was the full family tree. Users could refresh the branches and click on leaves to view profiles. Refreshing would reset all the leaves to new random profiles. Users could pull out a search tray to search specific terms and filter leaves on the tree. This allowed employees to find employees who shared their interests. Profile view from family tree. 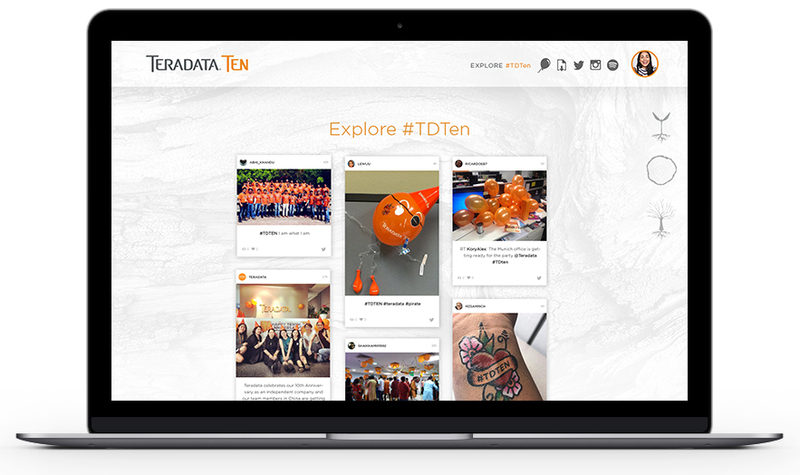 The TDTen site also had a social feed where users could view any social media post using the campaign hashtag from around the world. This was a lot of fun during the global parties! During the last two weeks of the campaign, the site was gamified. Balloons would float up during a site visit. These were completely randomized. Users could pop them and potentially be entered to win many great prizes. If a user won an entry, they were eligible to win another entry the next day. This was strategically done to facilitate daily engagement during the last two weeks of the campaign. Our clients were thrilled with the results! 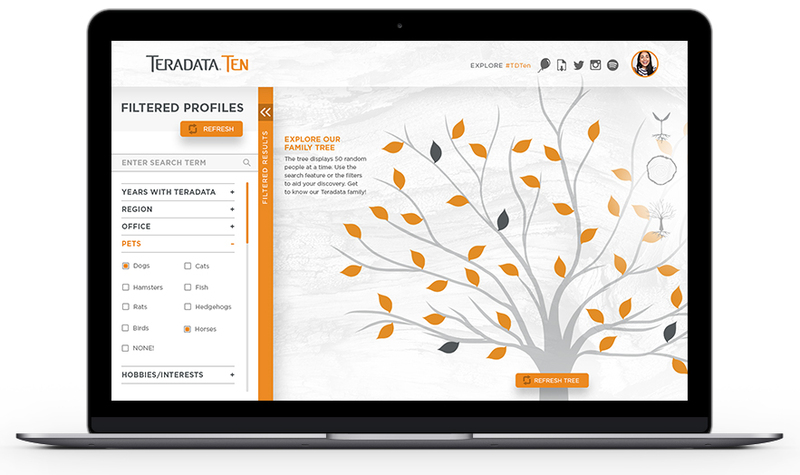 More than 1 in 3 Teradata employees logged into the Teradata Ten website and created profiles. There were over 3,300 entries in the “Score with #TDTen Sweepstakes,” representing thousands of daily interactions with the website. 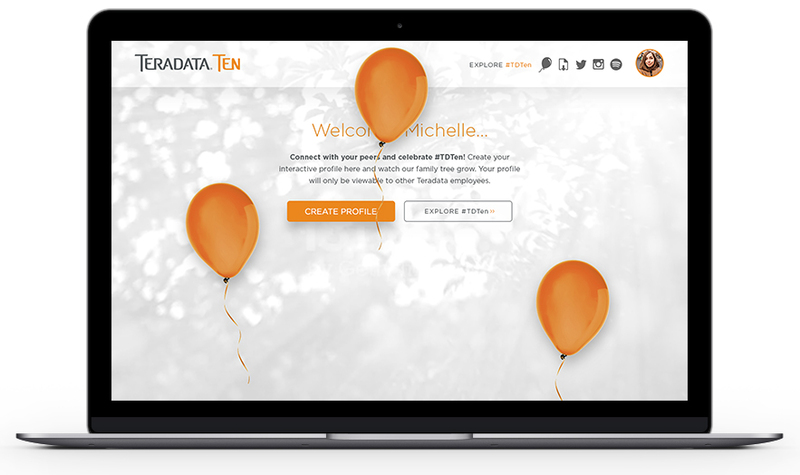 Hundreds of employees at dozens of offices shared photos of their parties and celebrations across numerous social media channels using #TDTen. This campaign was truly an engaging global celebration!